Dallas could be looking to add another All-Star to its roster this summer. 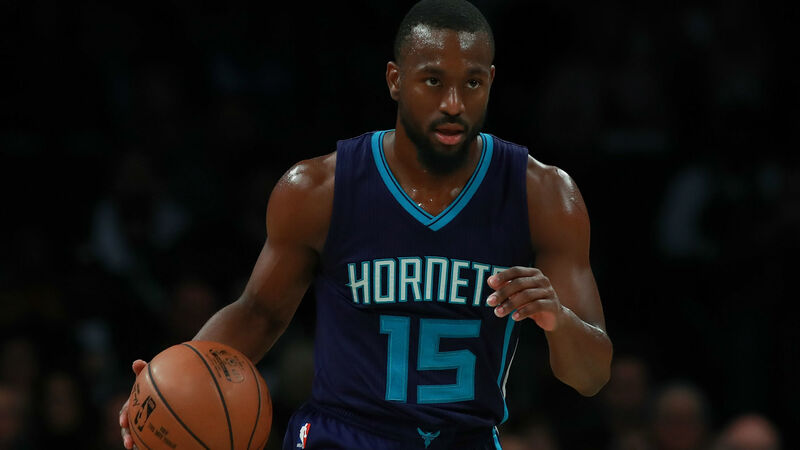 The Mavericks are the "biggest threat" to sign Hornets guard Kemba Walker, according to a report from the Charlotte Observer. Dallas is planning to make Walker its top target when NBA free-agency begins July 1, the report says. Walker, 28, will become an unrestricted free agent for the first time in his NBA career after the season. But, he has repeatedly emphasized that he wants to be in Charlotte long-term. The Mavericks unexpectedly traded several pieces to acquire Kristaps Porzingis before the trade deadline. While he will not play this season as he recovers from an ACL tear, the 23-year-old All-Star is expected to be a major part of Dallas' future. If the Mavericks convince Walker to jump ship, they could have three All-Star caliber players on their roster — counting the budding Luka Doncic. Dallas has a long way to go, though, as it has posted a 27-39 record and sits at 14th in the Western Conference standings. Walker is averaging 24.9 points, 4.2 rebounds and 5.8 assists per game in 2018-19 and has been named an All-Star in three consecutive seasons. Walker, however, is Charlotte's sixth-highest paid player this season, as he will bring in $12 million in the final year of his four-year, $48 million contract.